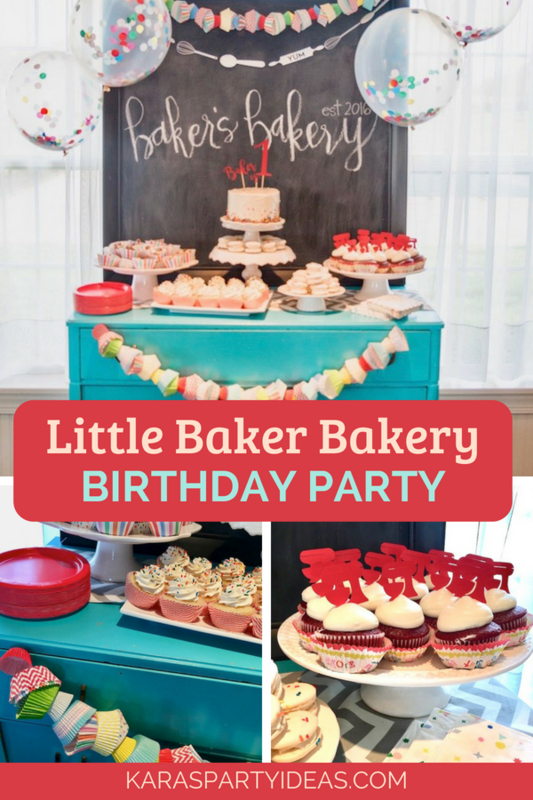 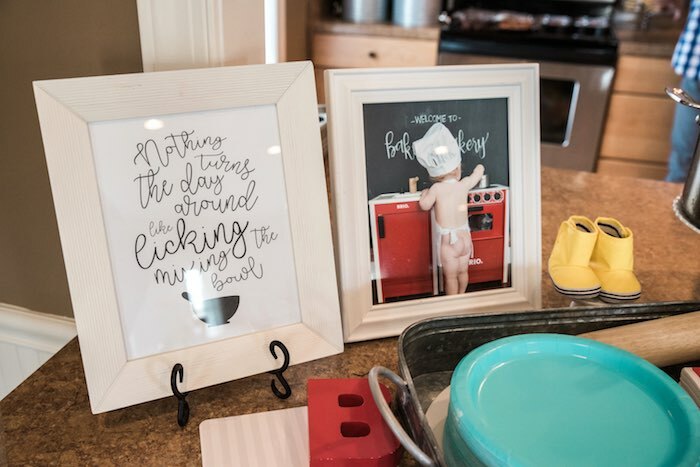 Fill your mixer and bake a batch, this Little Baker Bakery Birthday Party, is quite the catch! 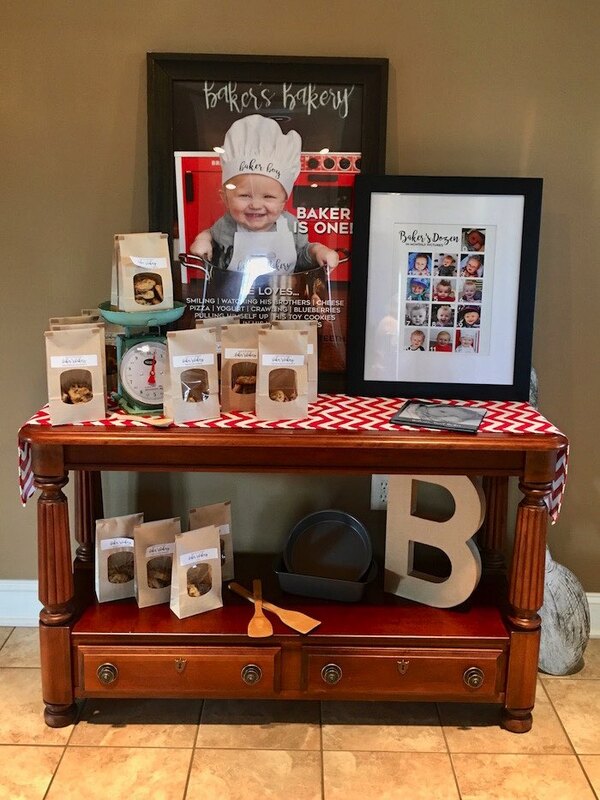 Packed with recipes, delicious and sweet, this birthday celebration by Whitney Beachy out of, Canton, Ohio, is a homemade treat! 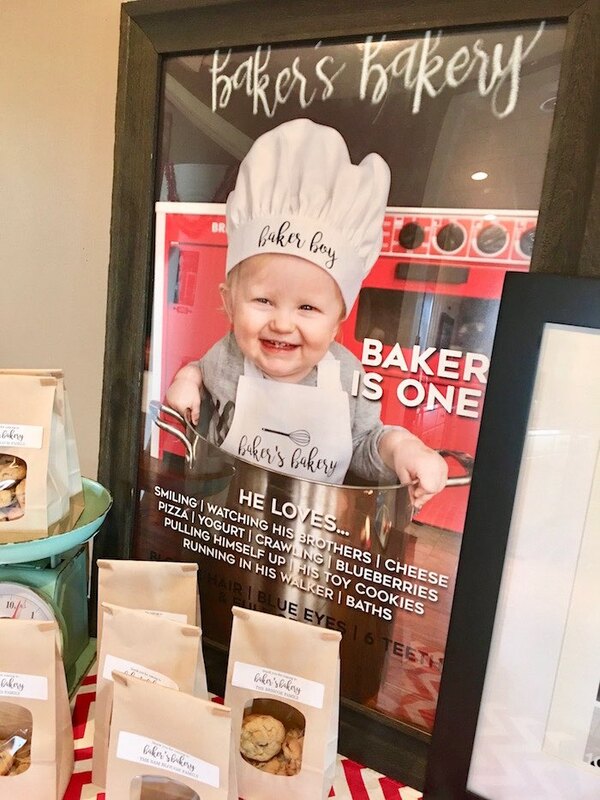 And Custom Little Baker Signage! 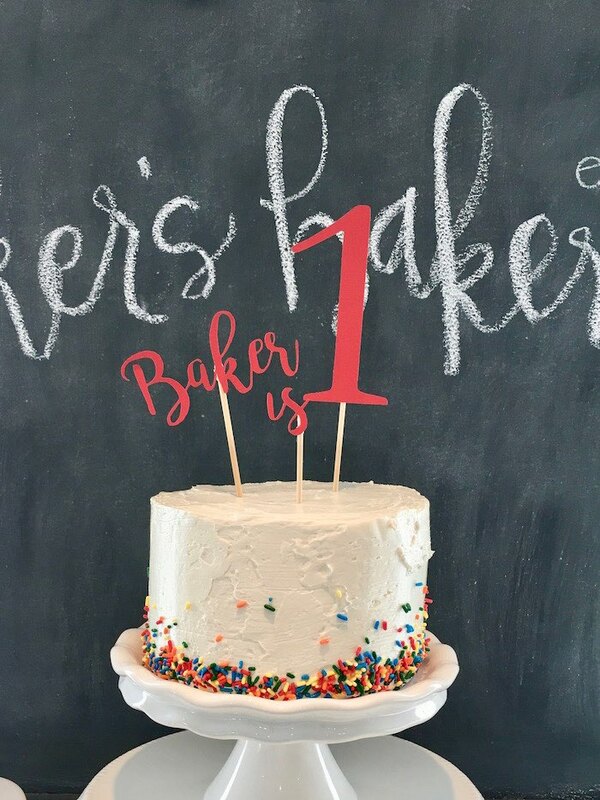 Our little guy, Baker, is ONE! 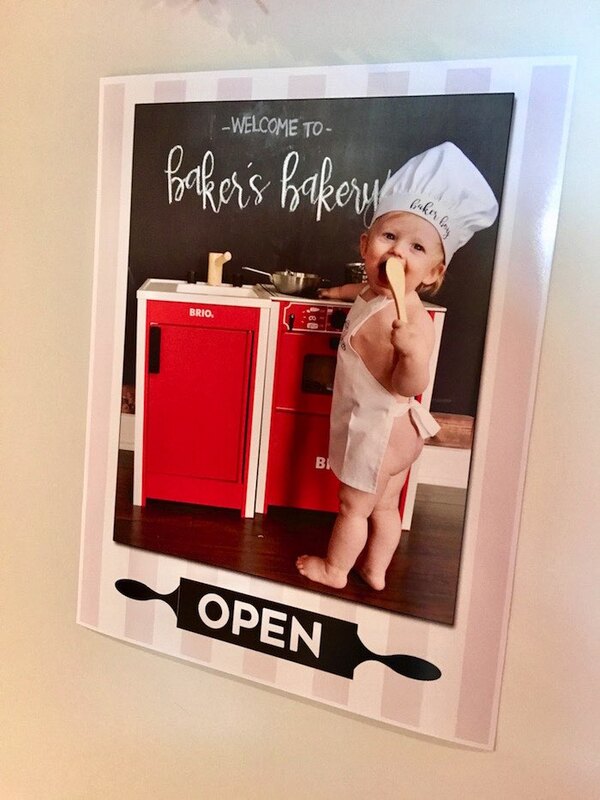 He’s as sweet as they come, so naturally we chose a bakery theme: Baker’s Bakery, where the cook is sweeter than the treats! 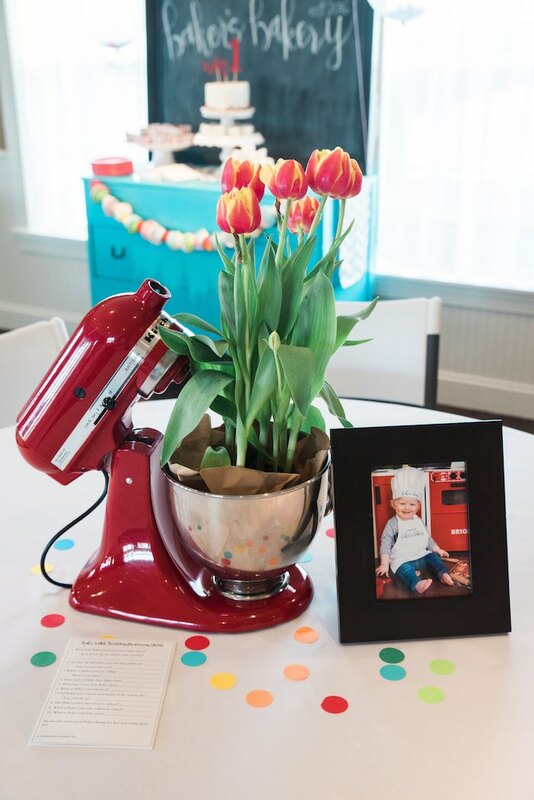 I borrowed several different KitchenAid mixers to use as centerpieces along with some fresh tulips. 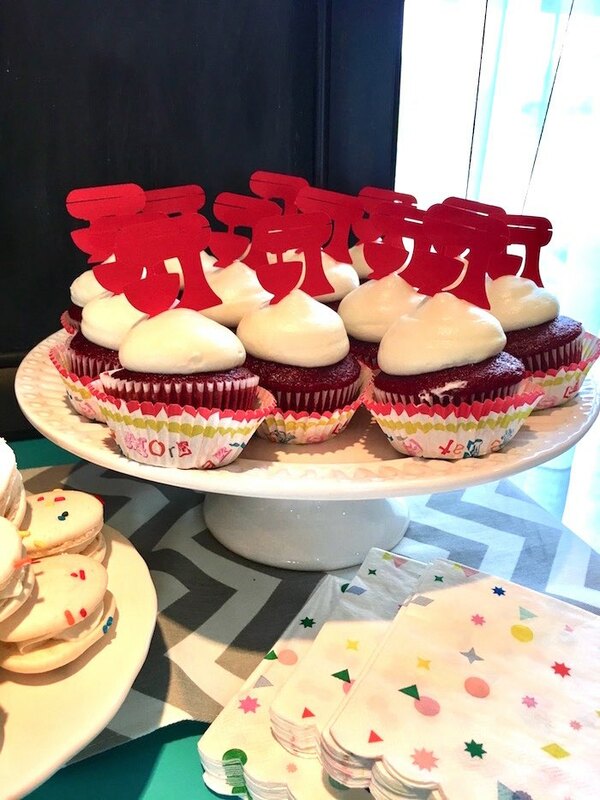 Each table also had some sprinkled confetti pieces and a picture of the birthday boy. 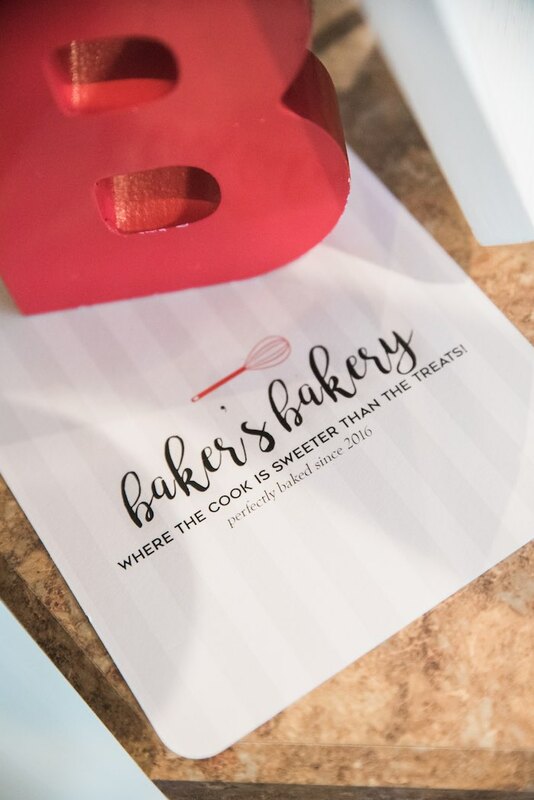 We kept the food basic and focused on making a special dessert area… it is a “bakery” after all. 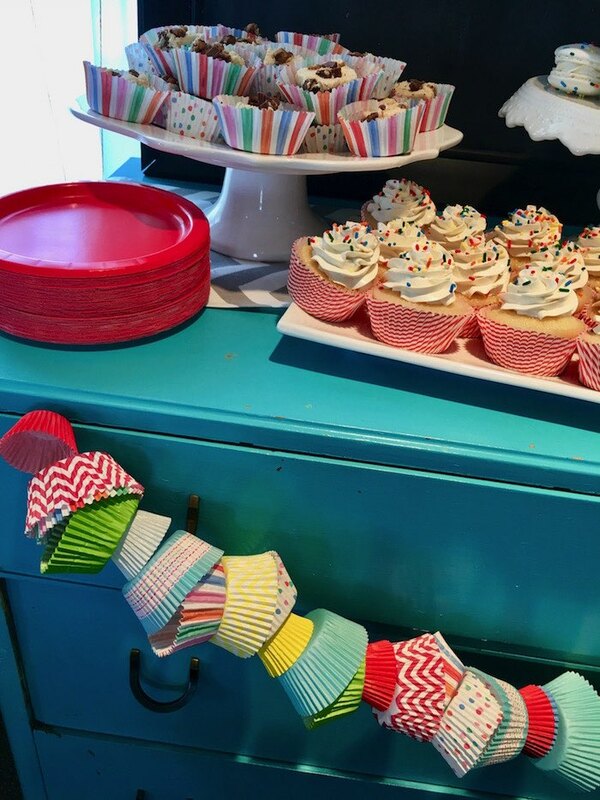 My talented cousin made most of the treats: funfetti birthday cake, cupcakes, peanut butter brownies, and a variety yummy “confetti” sprinkled macaroons. 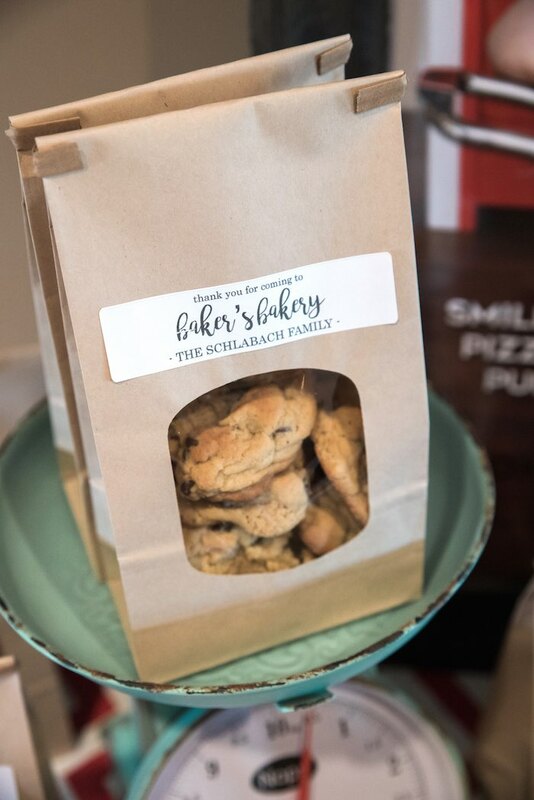 Each family also got to take home a special treat from Baker’s Bakery: Mimi’s famous chocolate chip cookies! 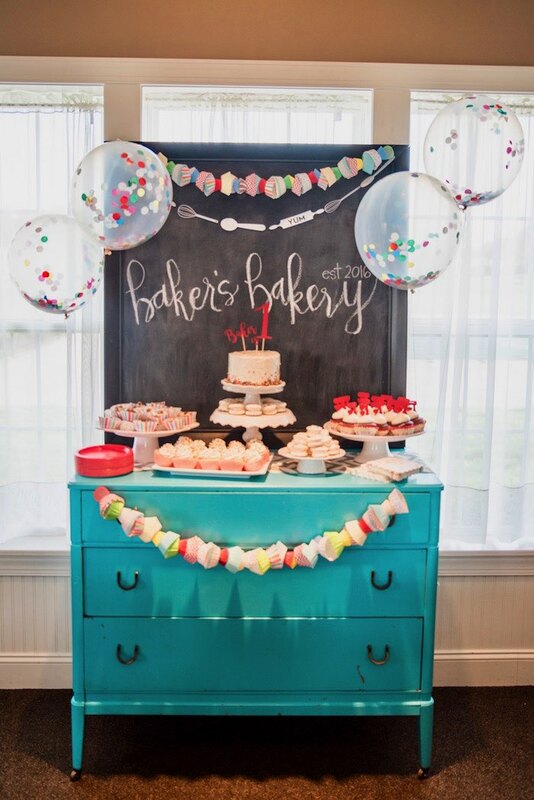 I kept a subtle “confetti” and colorful theme throughout the space. 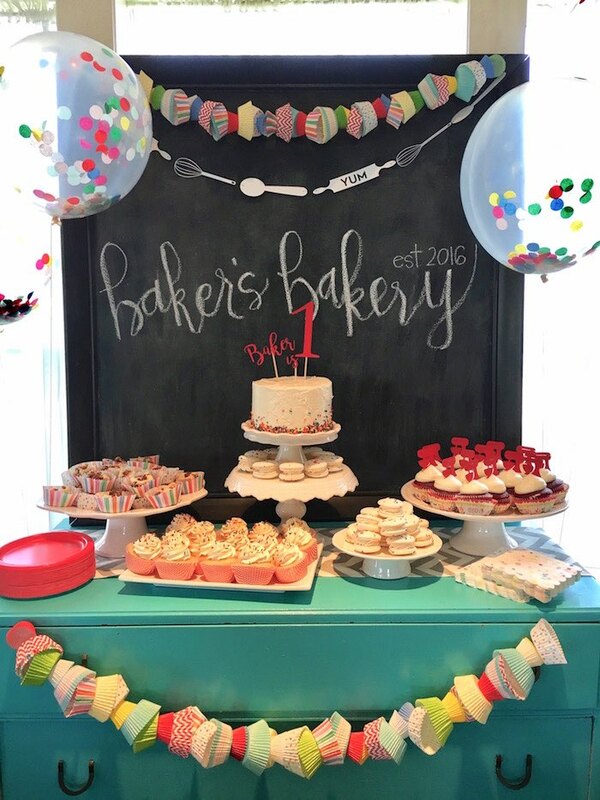 A few favorites were the confetti balloons, the cupcake liner garland, and the special “Baker’s Dozen” print I made using Baker’s monthly pictures. 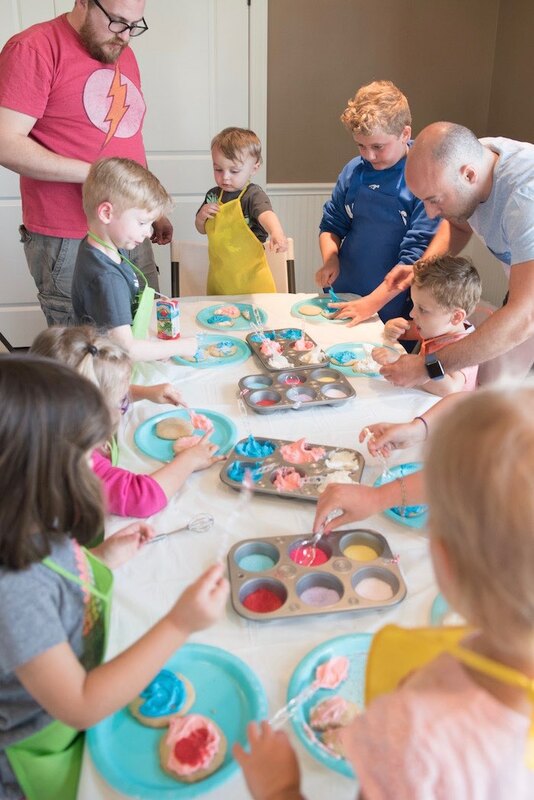 We brought lots of toy kitchen items for the kids to play with and each child got to choose an apron to keep. 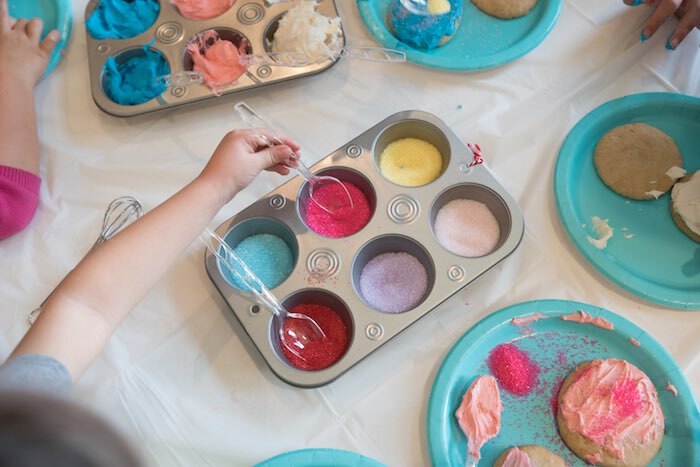 The children had lots of fun decorating a few of their very own cookies to take home – sprinkles were everywhere!